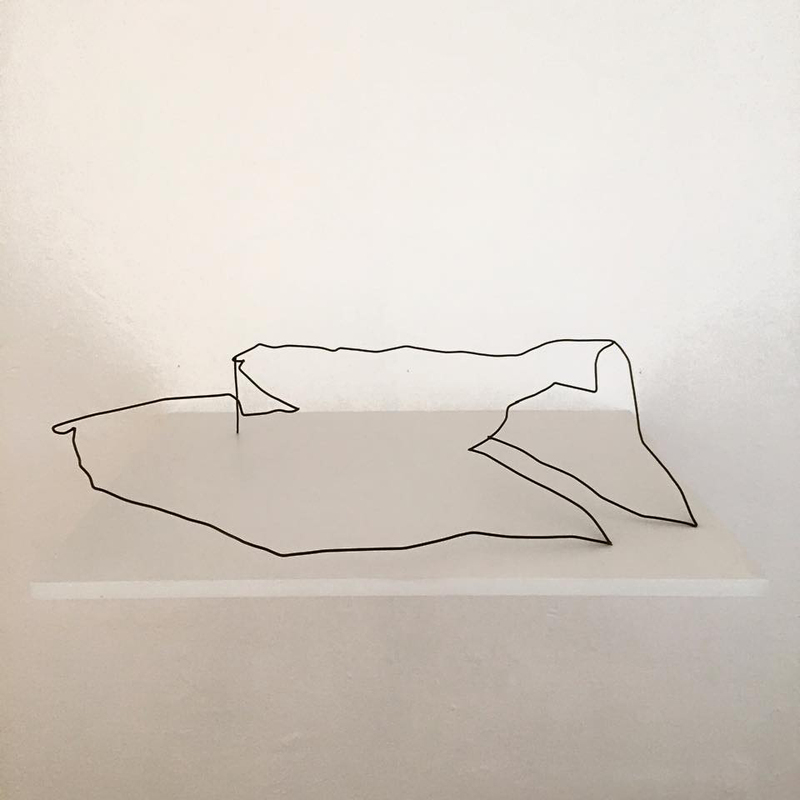 In the two-person exhibition Twice in a While, Cara Levine and Jess Wheelock each explore human limitations by creating endurance and effort-based scenarios. In some works these scenarios are performed by the artist, while in others, they are experienced by the viewer. The attempts to understand or master both banal and grand external forces are met with struggle and often failure - at times eliciting subtle moments of humor. Using perceptual trickery and sets of constraints, Levine and Wheelock reveal the interdependence between objects, ourselves, and the people around us. Working across sculpture, photography, and video, Cara Levine explores the intersections of the physical, metaphysical, traumatic and illusionary. A personal history with chronic pain informs her perception of spatial experience and investment in the prosthetic. Her new video work, Re-Mothering: What is Love's Perspective? offers a visual metaphor for the dissociative, physical and mental paralysis experienced during a migraine - inescapable pain where daily tasks become daunting, and seemingly insurmountable. Levine’s longstanding practice of yoga and meditation underlies her understanding of the mind as a portal, and an upbringing in Los Angeles feeds her interests in special effects. Drawing on these influences, she combines these elements to create and distill illusions to their most essential parts - maintaining the initial marvel while exposing the trick. Similarly, Jess Wheelock’s work creates illusory, fantastical moments by amplifying seemingly banal actions. Utilizing video, everyday objects, electronics, and programming/code, she creates interactive pieces wherein the viewer’s actions influence the outcomes of the work. 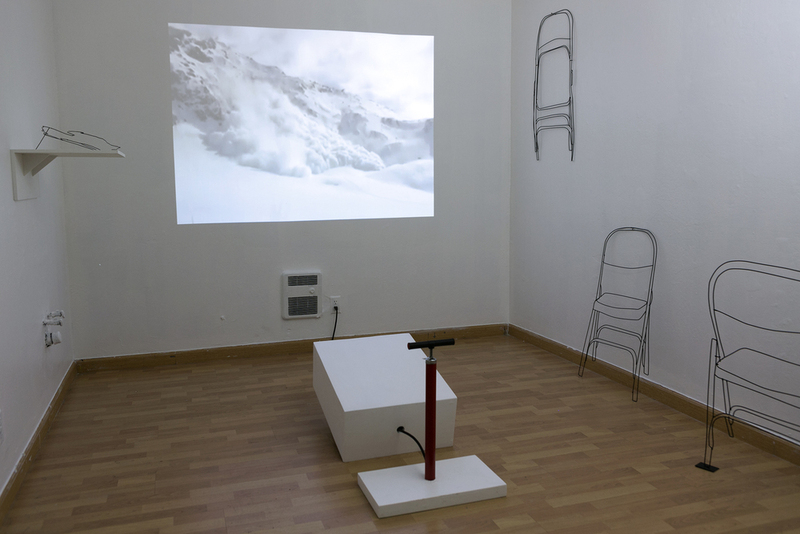 Wheelock’s work presents situations, such as the controlled reversal of an avalanche in the work Pushing Back Avalanches that involve struggle, anxiety, and pressure that can be temporarily relieved with the help of a participant. Cara Levine lives and works in Oakland CA. She received her MFA in sculpture from California College of the Arts in 2012 and currently teaches ceramics at Creative Growth Art Center in Oakland CA and is completing a Teaching Fellowship at CCA. She has shown her work at the Wattis Center for Contemporary Art in San Francisco, The Orange County Center for Contemporary Art, and The Center for Contemporary Art, Tel Aviv. Recently she was an artist-in-residence at Kala Institute for the Arts, Anderson Ranch Art Center, Vermont Studio Center, and Signal Fire Arts. Jess Wheelock is a multimedia artist living and working in Oakland. She earned a Masters of Science in Visual Studies from MIT and attended a residency at the Skowhegan School of Painting & Sculpture in 2010. 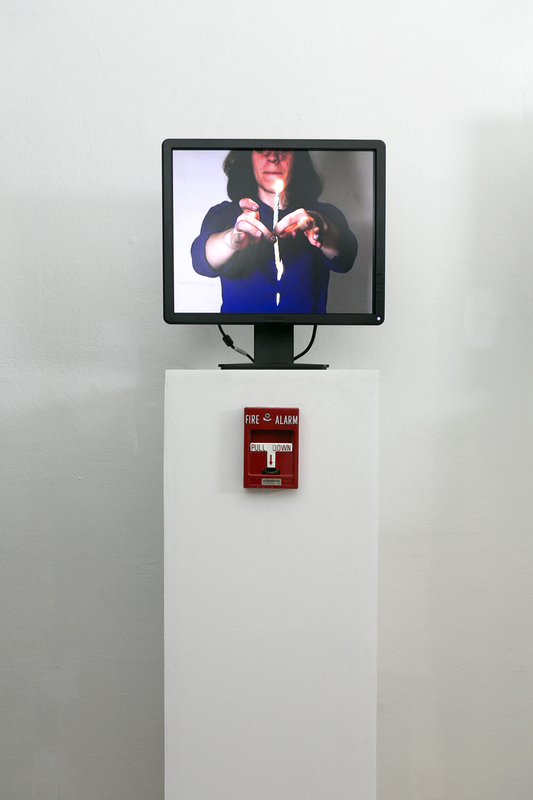 Her work often combines video, performance and sculpture.